This is the story of one mans stamp collection. A stamp collection unlike yours or mine, for this collection is and will forever be the finest philately will ever see. It is a collection which sets out to tell the full story of British Victorian Postage Stamps from their inception, design and eventual issues to the end of Queen Victoria’s reign. It is housed in all its glory within the London Chief Post Office, King Edward Buildings, London EC1 and contains literally hundreds of priceless and unique items all of which have been selected to tell the full story of this country’s stamps. Mr. Phillips took some 40 years to complete his 46 volume collection. This generous man then handed over the unique study to the nation together with a cheque for £50,000 towards its maintenance. Reginald Moses Phillips was born in 1887 and started collecting stamps at the age of 16. He purchased a number of Stanley Gibbons Imperial Albums and set about collecting the early Cape Triangulars, Ceylon issues and the 1st stamps of New South Wales. Even at an early age, Phillips liked quality and fine engraving detail and this first collection was to be the seed from which would grow his greatest work. He began his successful business career in 1910 at the age of 23 as a real-estate agent and later he specialised in the purchase and development of choice commercial sites and property. He was clever in business and unrivalled in his field, soon becoming rich and influential and his eventual large fortune stemmed from his success between the wars. He was always therefore precise in what he did and this was to be the reason why his classic collection was of such a high standard. During his early life, Reginald Phillips had his mind on business matters and collected little, however in 1940 at the age of 53 his interest was rekindled and so began the long task of building the British Victorian Collection. One of the first collections acquired was that of C.F Dendy Marshall, author of a superb work, ‘The British Post Office. Oxford University Press 1926’. Dendy Marshall died in 1945 and Phillips purchased the 31 volume collection intact. The next few years would see a number of great collections appear on the open market and the opportunity to pick up many classic rarities was too good to miss. Mr Phillips had the money and the collections were coming up just at the right time. What an advantage to extend and develop his study. 1950 saw the death of Bertram McGowan, the owner of what at the time was probably the finest line-engraved collection in existence . Also in that year, another famous collector, J.B Seymoor passed away and in the resulting sales, Mr Phillips indulged himself by securing all of the rarest items including exhaustively specialised studies of the 1856-62 1d stars. The London International Exhibition of 1950 which he attended gave Mr Phillips his first look at the H.C.V. Adams collection which was displayed there and which won the highest philatelic award, The Grand Prix. This collection was bristling with gems and after Adams death was purchased by Mr Phillips in 1955 for £20,000. In this collection was a fine page containing values of each of the rare Abnormals, the main reason for Mr Phillips purchase as some of these Abnormals were the finest in existence and desperately needed to complete a section of his study of his study. Amongst other superb items were very many urgently required Essays and proofs on all aspects of stamps, the fact that this collection also housed the finest known study of Surface Print issues with numerous large multiple both mint and used helped, I am sure to finish this particular section of Mr Phillips study. In 1951 he purchased the collection of the late Fred Aitchison, well known at the time for its very high standard of quality. Securing this collection pleased Mr Phillips very much indeed. He caught the public eye in 1959 by purchasing for £4,400 a fabulous mint block of 43 1d blacks from plate 3, the largest known multiple. By now the collection was expanding at a steady rate. Many classics had been caught but still there were gaps and the search continued in earnest, by now the collection was extremely comprehensive but as always, Mr Phillips had his sites set high and was now clearly aiming for what at the time seemed impossible, completeness . Every single value in the reign of Victoria was to be thoroughly studied down to the last proof or essay. The complete story was what he wanted, and was making excellent progress. During these philatelically active years, Mr Phillips became the firm and close friend of a retired medical officer, Dr Hary Osborne of Saltford. Dr Osbore had written two superb classic works on British Line Engraved stamps ‘Line Engraved Repaired Impressions’ and ‘Twopence Blue Studies of Plates 1 to 15’ and was the owner of possibly the last great collection containing an almost complete study of the 2ds, together with many volumes detailing many aspects of line engraved stamps. Dr Osborne made countless visits to Mr Phillips home in Brighton where, together they would spend many happy hours comparing notes and thrashing out arguments. When Dr Osborne died, Mr Phillips purchased many items from the collection which added still further to his now almost complete work. One last collection was purchased, that of Edward Granger who had spent 40 years on it and had stipulated in his will that ‘my good friend Reginald’ should have first refusal. Now came the incredible task of arranging and writing up the entire collection. This was undertaken in the late 50s in which Mr Phillips spent many long hours every day for months at a time. The work and study involved was huge but he had amassed all the material needed to give a complete picture. The Grand International Exhibition of 1960 in London saw the first and only display of this collection. A small part only was displayed but even against intense competition, the collection was awarded the Grand Prix, an award easily befitting such a superb study of stamps. Also in 1960 a wonderful idea began to unfold. Perhaps it would be possible to build a permanent display in which the collection in its entirety could be held. But as Mr Phillips spent more on this idea, it soon became clear to him what should be done. It was in 1962 that Mr Phillips approached the post Office with this idea and so it was that on 2nd April 1965, the post master general of the time, the RT Hon Antony Wedgewood Benn MP, stood up in the House of Commons and told the House of Mr Phillips gift to the nation. The complete collection together with Mr Phillips personal reference library and a cheque to the value of £50,000 were presented to the Post Office and the Postmaster General put on record his '‘profound admiration for the great generosity and imagination of Mr Phillips who has been an inspiring force in this project. The conversions that took place in the rooms of the Chief Post Office were undertaken with the greatest of care and with much attention being given to ensuring that all the stamps, essays, proofs, drawings and documents would be preserved in peak condition. All the fitments which housed some of the richest prizes from the collection were to be air conditioned with careful temperature controls and especially constructed lighting to totally eliminate any possibility of fading. Humidity annalisers would keep an eye of any possible mould formation and all displays would be changed on a well prepared rotational basis with spot checks being carried out. The collection was to be housed alongside the superb Post Office Archives of Registration sheets, representing every single issue of British Stamps since 1840. The National Postal Museum was opened at King Edward Street, only a stones throw from the site of the old GPO where the worlds first adhesive postage stamps were put on sale in May 1 40. During the next 2 years the museum was greatly enlarged to some 2000 square feet and on 19th February 1968, Her Majesty The Queen accompanied by The Duke of Edinburgh opened the new National Postal Museum in the presence of its founder, Mr Phillips. A commemoration plaque was unveiled by her Majesty who then inspected many of the displays. The new enlarged museum can now accommodate a display 130 times larger that that of the old premises. Now that his task was complete, Mr Phillips turned his attention to the stamps of King George V and over the next few years amassed one of the finest studies of the Seahorses which has never been assembled. 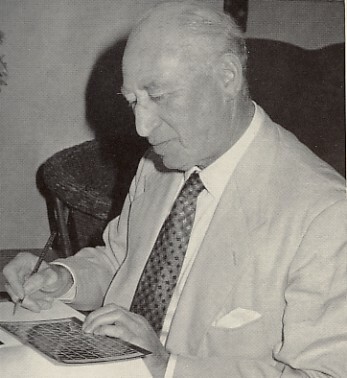 He made many other important contributions to philately, including the setting up of a Philatelic Unit at Sussex University and the donation of a 22 carat gold medal for stamp design which is now awarded every 5 years by his (late) widow Mrs Elsa Phillips. He made many generous donations towards the education of blind and deaf children, and for the research into various scientific and social needs. In 1970, he was awarded the CBE in Her Majesty’s birthday honours list and in October of the same year, Sussex University conferred upon him the honorary degree of Doctor of Laws. It was on 10th October 1977 that this kindly gentleman passed away after a short illness brought on by a fall. He was 90. In his will he gave orders that his collection of Seahorses be sold at auction for the benefit of the Royal National Institute for the blind. Reginald Moses Phillips did more for philately that any collector living or dead, for he gave you and me and all who collect this countries stamps a chance to shade in a feast of philatelic history that could so easily have been broken up and lost forever. I hope that here, I have at least given some small hint of the wealth of this collection. If you have not already had the opportunity of seeing it, I strongly urge you to, for words cannot describe what awaits you at the National Postal Museum, but be warned, one visit will not be enough!